Patricia first visited Japan eight years ago and fell in love with the country and the culture. She has since made another four trips there and has hosted Japanese students. 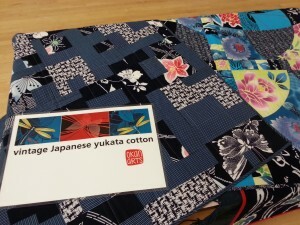 She began quilting five years ago and was inspired to use yukata cottons in her lovely quilts, and decided to import them to make them available for quilters here. 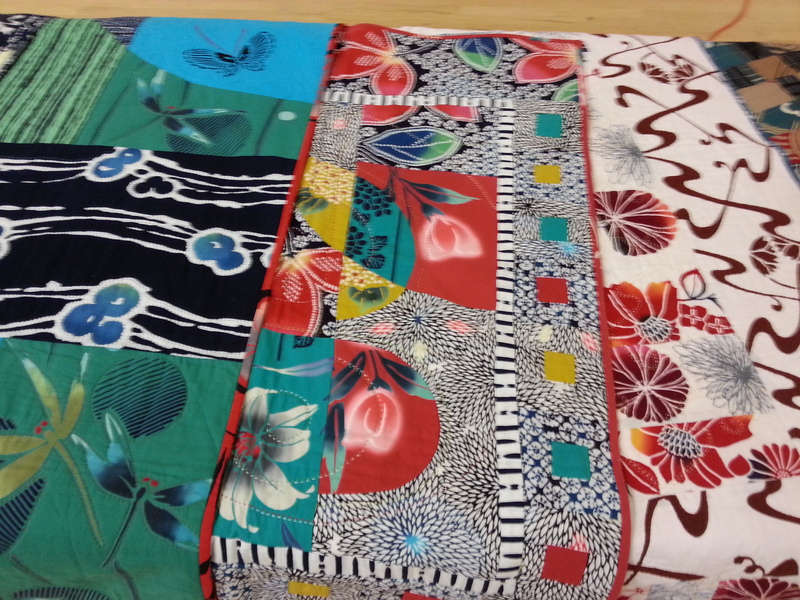 Yukata cottons are typically 14-16″ wide and come in rolled bolts containing 10 meters of fabric, enough to make one kimono. 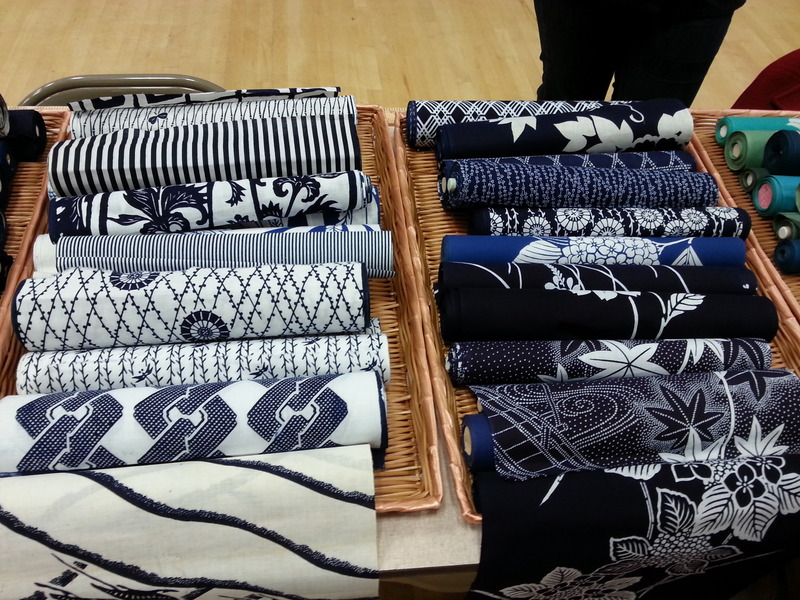 In the past, these unlined kimonos were worn for trips to communal bathing pools (prior to the days of indoor plumbing in Japanese homes). They are the official costume for the Summer Festival. Junior sumo wrestlers are required to wear these thin yukata robes and yukata is also used for dressing dead bodies. The cotton is hand-dyed with silk stenciling. 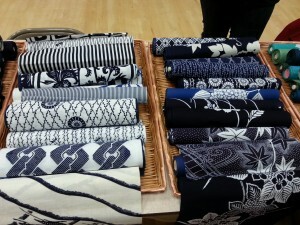 Indigo and white is the most traditional. Later, color was added to the indigo and then color was used without the indigo. 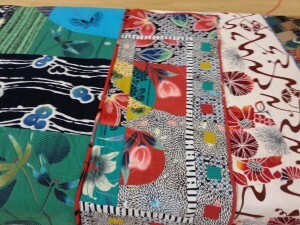 The motifs in the patterns are traditional, realistic or abstract. Patricia has around 500 bolts of this 20-50 year old yukata cotton, the largest inventory in the USA. 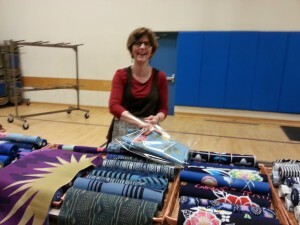 I’m looking forward to taking a quilting class from Patricia on counter-intuitive quilting next weekend, hosted by Kitsap Quilters. 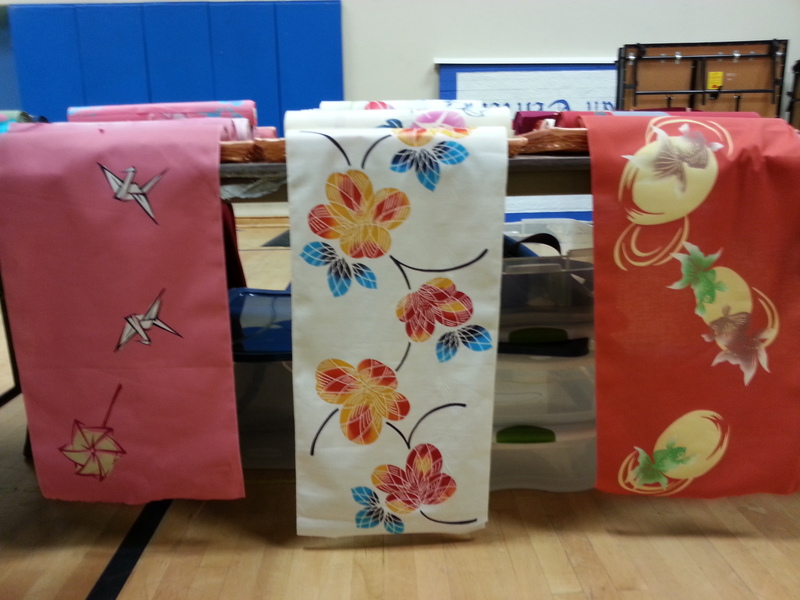 This entry was posted in Inspiration and tagged Fabric, inspiration, quilts by Maggie Ball. Bookmark the permalink. 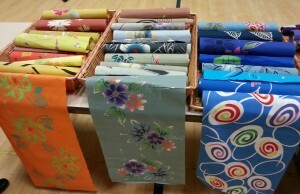 Do you sell the yukata fabrics by rolls? How much is a roll? I don’t sell these. Contact Patricia.See the link in the blog post.